Check out my last review on SlimQuick Pure Protein here. On my last health related post you might remember that I mentioned I had been in some sort of fitness funk the last few weeks but luckily I’m now back in the groove. 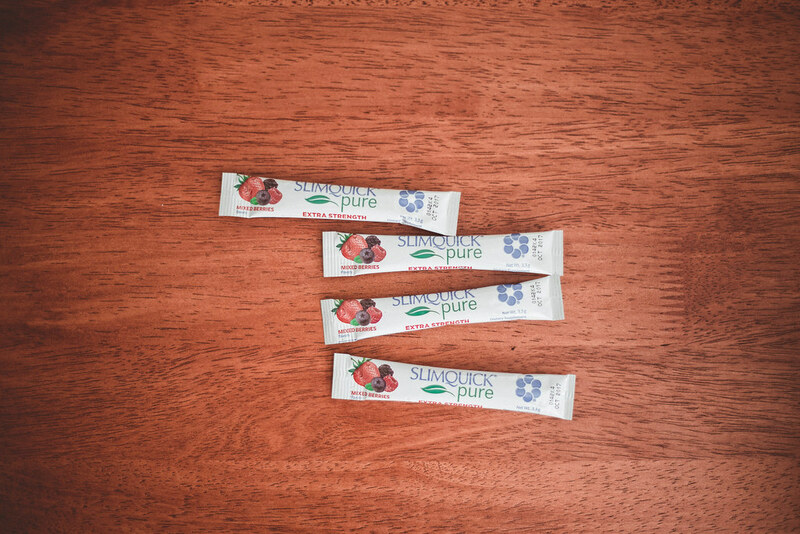 After completing my review on SlimQuick’s Pure Protein I started implementing SlimQuick Pure Extra Strength Mixed Berries Drink Mix into my daily diet. The taste was better than expected. I looked forward to taking it twice a day since it tasted like a yummy fruit drink and helped me get in an extra two cups of water each day. It was hard to believe this drink had 0 calories and no sugar. I didn’t have to worry about adding extra carbs or grams of sugar to my diet which was nice. I noticed a decrease in appetite which was nice. I tend to overeat when I’m bored and when taking this product I noticed I only ate when hungry and it reduced my cravings significantly. I really wish I would have bought more of this stuff while I was away in California to help reduce the urge to eat so much junk food, especially those huge churros at DisneyLand, ha. I definitely noticed a boost of energy! After taking SlimQuick Extra Strength Mix I felt as if I had just consumed half a can of an energy drink or a full bottle of soda without so much liquid and bad ingredients. It was assuring to read the label and know that the drink mix only included natural ingredients like antioxidants, calcium, vitamin D, and BioPure Green Tea. Overall I think if you have hit a weight loss plateau or are working to achieve fast results I would highly recommend giving this product a try along with a healthy diet.Now that I’m back from vacation I will definitely head on over a purchase more of this in order to help me with my new fitness goals. I’m currently about to end my first week of my new plan and could definitely use more of this in order to help fight my sugar and unhealthy fat cravings. 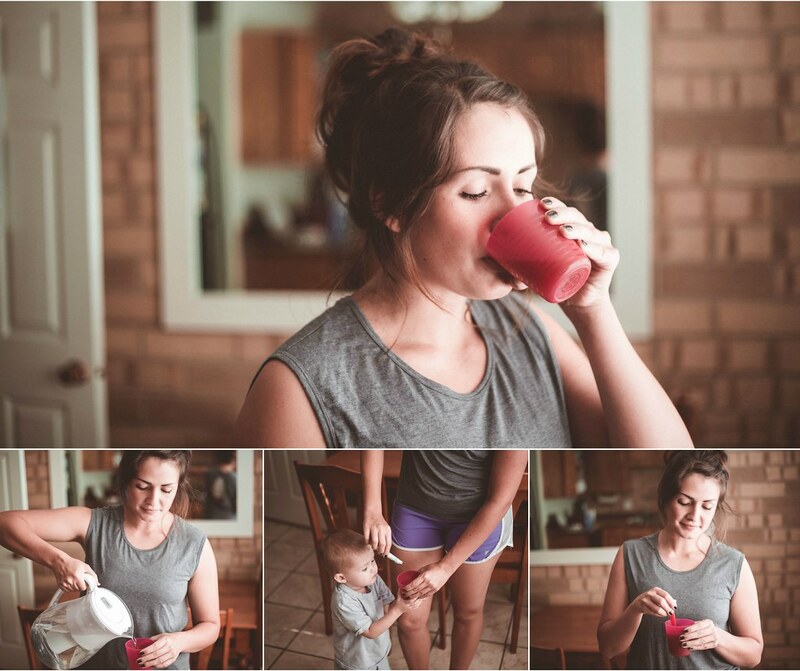 Want to try SlimQuick Pure Extra Strength Mixed Berries Drink Mix for yourself? Here's a $5 off coupon that's valid now through August 31, 2015. Disclosure: This is a sponsored post powered by BrandBacker, all opinions expressed are my own. 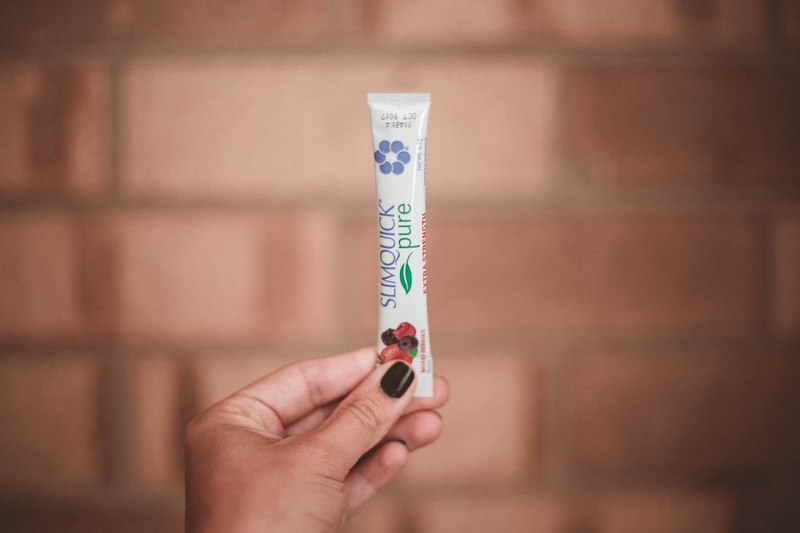 SlimQuick sent me a SlimQuick Pure Extra Strength Mixed Berries Drink Mix for my review. Is this stuff safe while nursing? I found that I can't really work out too hard right now or my milk supply tanks, but I'm really wanting to shed these last 5-10 lbs.